Find in the list below 50 amazing puzzle games! Sharpen your mind to the challenges below! Studies point out that children and adults can benefit from playing puzzles. According to a study conducted at Nanyang Technological University in Singapore, the famous puzzle game “Cut the Rope” is the one that worked best to improve one’s memory and capability of making decisions and solving problems. Researchers at the University of Chicago found out that children between 2 and 4 years old who play puzzle games have better spatial skills than the ones who don’t. 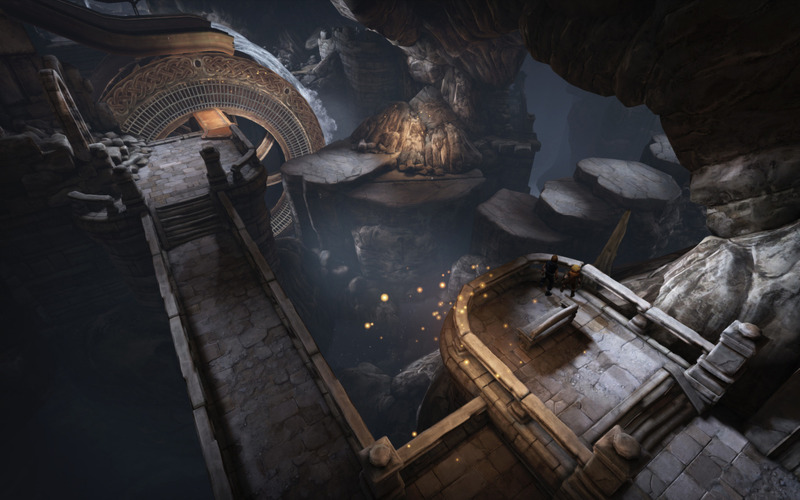 According to the independent designer Scott Kim, puzzles distinguish from other types of games because they are mainly about finding a solution to a problem rather than competing against an opponent, like other types of games. He also considers that, to build a good puzzle game, the developer must first build a good toy: something that players will enjoy manipulating even when they don’t have a goal. 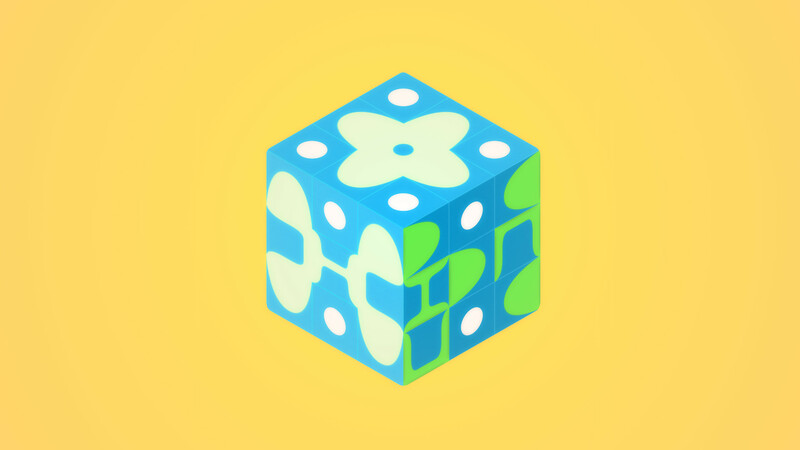 All in all, puzzles are strategic games in which the player has to figure out how to arrange or organize different shapes, colors and symbols. If this is a vague definition, it is because puzzle games can actually appear in many different forms as this list can prove. 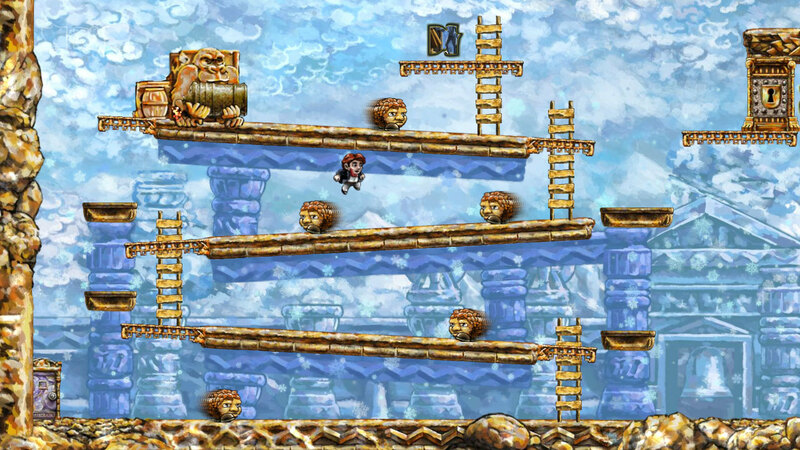 In Braid, you are Tim and have to search through six different worlds for a princess who was kidnapped. 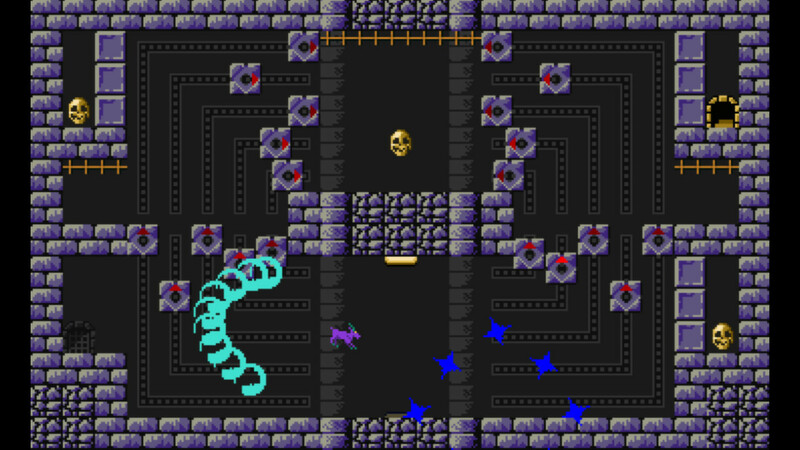 During this game, the player will have the ability to manipulate time, so they don’t necessarily have to solve the puzzles in a linear order, being able to move onwards and come back later. Since the player can go forward and back in time as they wish, the game offers an immense variety of sequences, although they will always lead to one end. Lead Tim to find the princess. 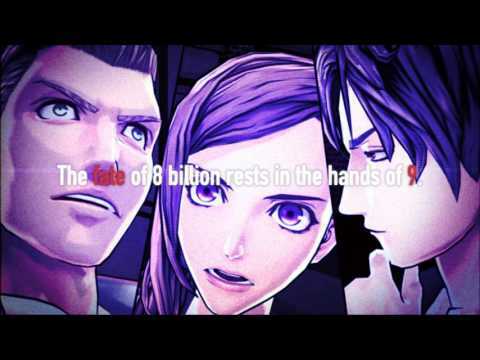 In this long and complex horror game, nine people awake in an underground facility and are forced to play a game with simple rules: six people must be killed to release six passwords which are necessary to open the door so the other three can escape. You navigate through the rooms in order to see them and watch the interaction between the characters for much time before the story of the game finally starts becoming clear. The game is dark, sad and stressful, the puzzles are complex and the reality of the characters hits you at every room you enter. This is a long and complex game. You are a boy who has a hard time picking up girls until a fairy named Kyu decides to teach you. 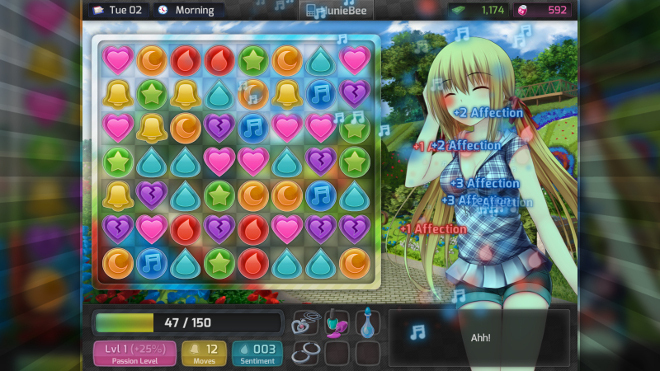 HuniePop is similar to a dating simulator, but with a twist: you earn positive points with the girls by solving puzzles. This game contains mature content. Solve puzzles to earn the girls’ affection. 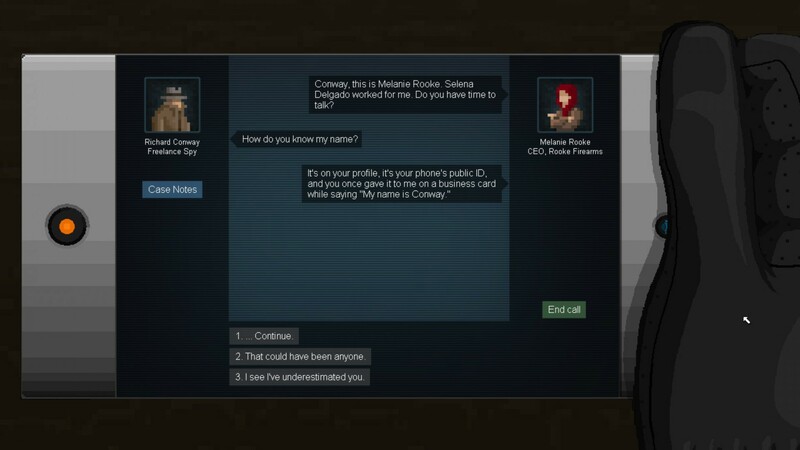 In this intriguing and suspenseful game set in the 18th century, you and your partner are investigators from Vienna who must solve a series of mysterious deaths in the real town of Kisilova. It is based on a true story that happened during the 1700’s, in which the townspeople blamed a vampire for a series of deaths. 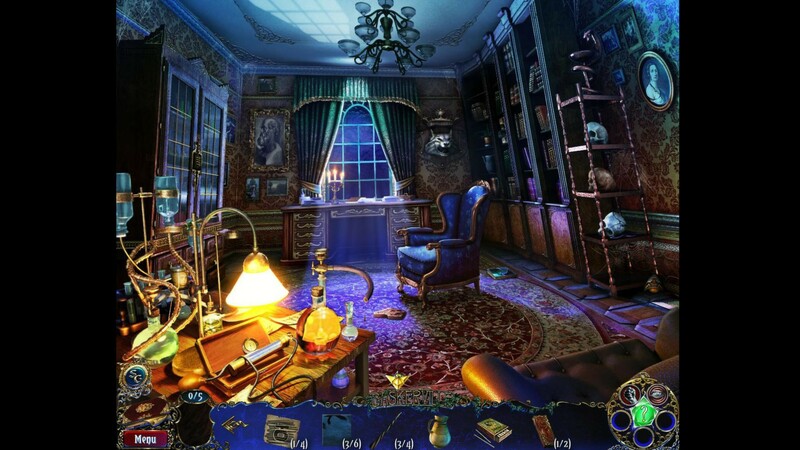 The gameplay consists in simply solving puzzles to find objects and clues, featuring 62 hand-painted areas, 36 mini-games and 21 scenes with hidden objects. You must find objects that are clues to solve the mystery. 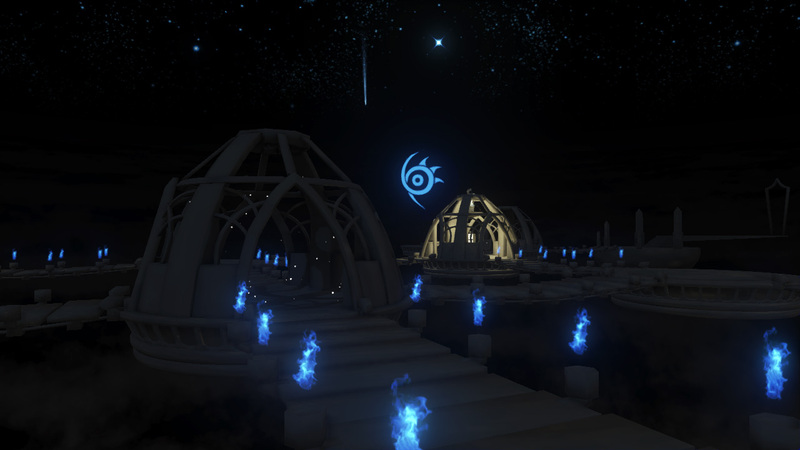 In this long and difficult first-person game, the player is a character who wakes up in an island without a memory of who they are and how they got there. 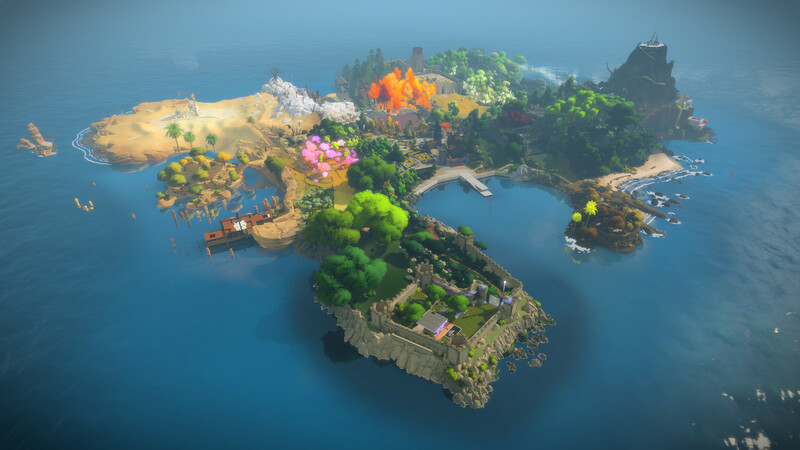 The Witness consists in solving puzzles and finding clues in order to recover the character’s memory and make him find a way back home. 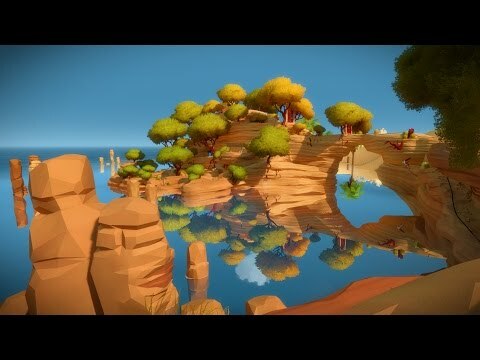 The Witness doesn’t have a soundtrack and the story doesn’t play a big part, it is a casual game mainly about solving puzzles. You wake up alone in a mysterious island. 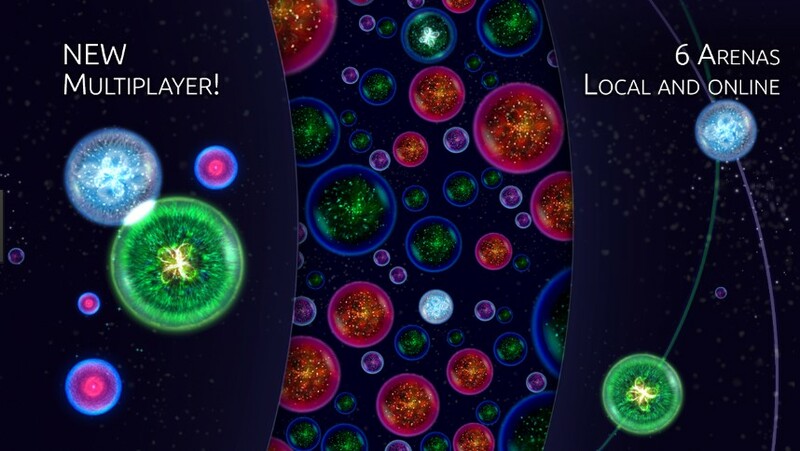 Intergalactic Bubbles Game TrailerIntergalactic Bubbles features an innovating 3D design to the classic bubble puzzler. The goal is simple: you have to throw colored balls on others of the same color to get rid of them before they touch your line. The physics of the bubbles is a plus adding more challenge to the game. 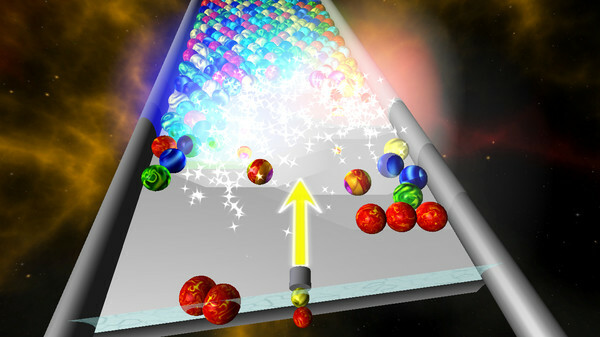 This is a 3D version of classic games such as Bubble Shooter and Bouncing Balls. This acclaimed platform game follows the adventure of Gomez, a 2D creature that suddenly discovers a mysterious three-dimensional world, breaking one of the fundaments of the universe. Now, he must restore the order of his world by exploring the three-dimensional world and recovering the cubes that keep it from being detached. 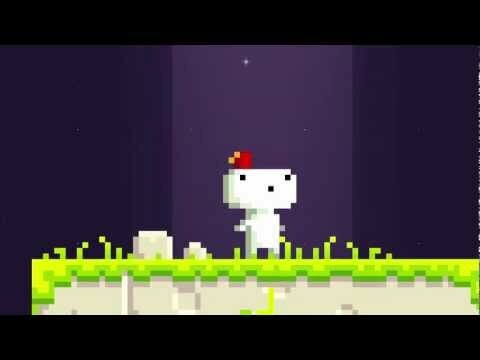 FEZ is an excessively complex and drawn-out game that consists in puzzles with ever growing difficulty. 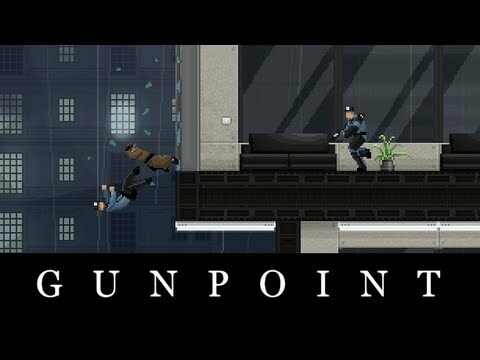 This game blends together aspects of 3D and 2D gameplay. 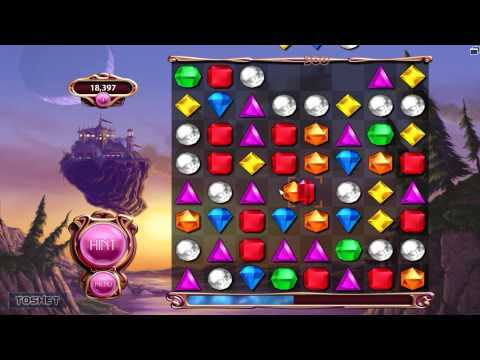 Bejeweled 3 is a simple puzzle game in which you have to swap gems and match the similar ones in order to score points. It contain four different modes: classic, quest (you solve a series of puzzles and mini-games), zen (it is a never ending level with a calm soundtrack), lightning (a time trial mode) and four secret modes that you unblock as you play. Match as many similar gems as possible to earn points. 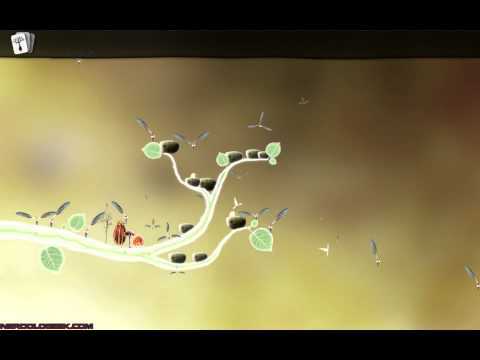 Osmos is a puzzle game with basic dynamics that offers an immersive, meditative and relaxing experience. 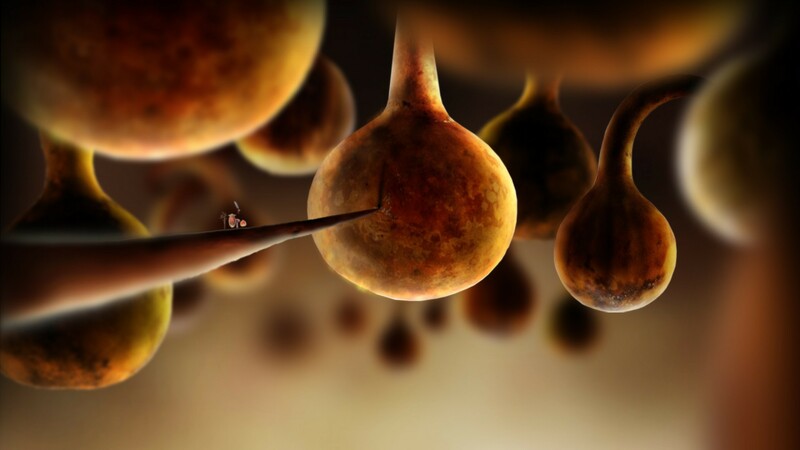 The idea behind it is simple: you are a cell that must absorb particles in order to grow bigger. 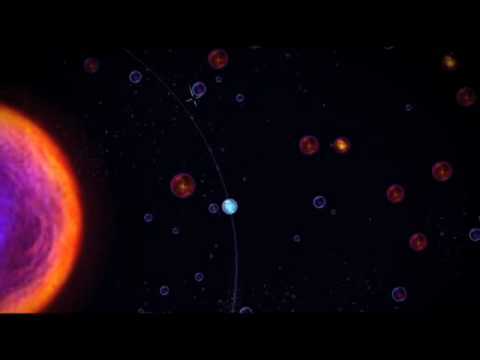 Osmos offers 8 level types: Ambient, Solar, Antimatter, Impasse, Repulsor, Sentient, Warped Chaos and Epicycles. In Plazma Being, you are Zeb, a small being that was kidnapped by aliens and has finally found a way to escape; your goal is to take him back to space. 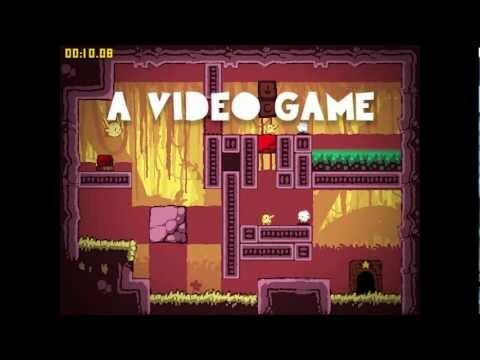 This is a small inexpensive platformer designed by the game developer Felix Wunderlich that contains ten different levels with rather easy puzzles; the soundtrack and design are basic, but fitting to the game. Travel through the surface of the planet where Zeb was being kept as prisoner. 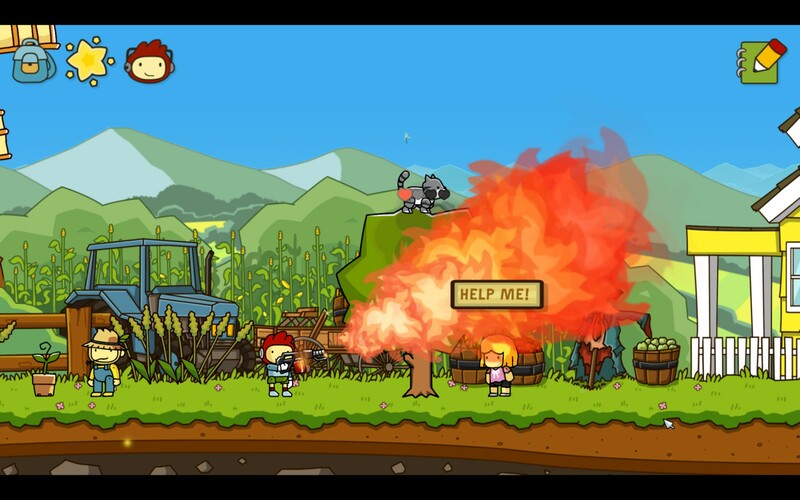 In Fields XY, you start the game controlling two different characters and, in future levels, you acquire a third one that changes the whole dynamic of the game. 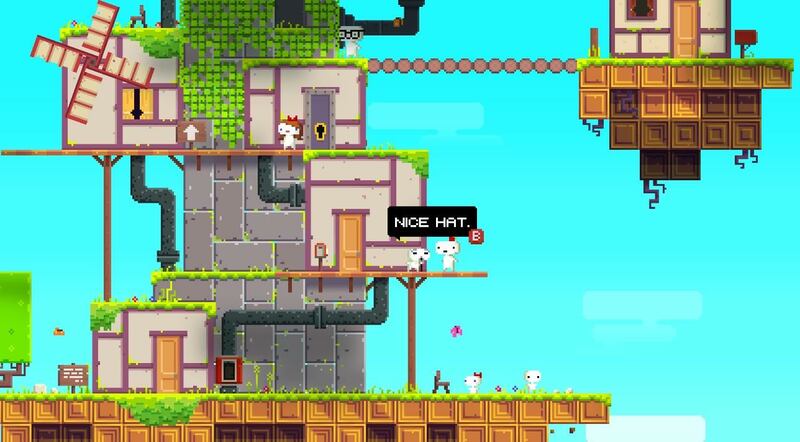 This is a simple puzzle platformer that presents 50 levels. This game has a simple gameplay. 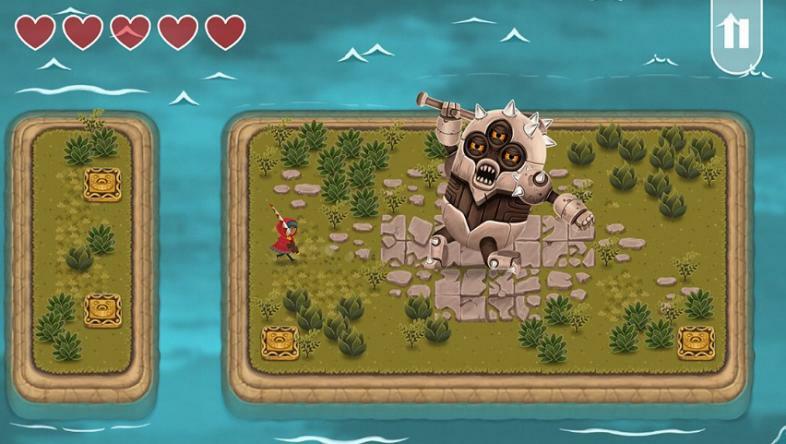 In this game, you are Little Red Hook, a young fisherwoman who is in a journey to defeat the monster Skyfish and rescue her brother; her weapon: a fishing pole. This is a casual and short game, composed by 45 hand-painted scenarios. 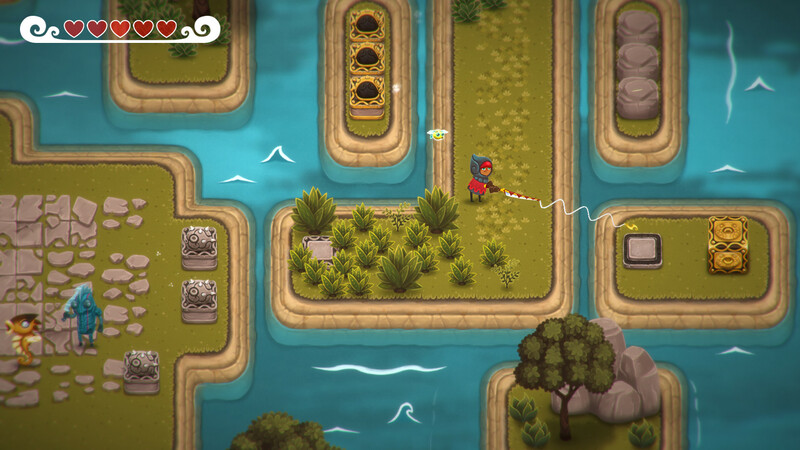 On The Legend of Skyfish, you use a very unique weapon: a fishing pole. Brothers: A Tale of Two Sons tells the story of Naia and Naieen after the doctor of their village asks them to collect the waters of the Tree of Life in order to save their ill father’s life. 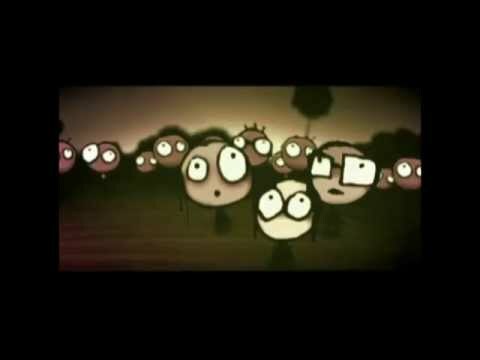 On the way, the brothers meet several characters and get involved in their stories. This is a short game, but rich in story. 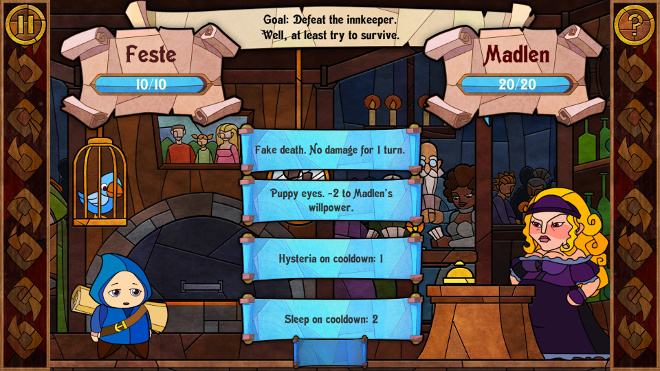 The mechanics are innovative to give the player the possibility to control both main characters at the exact same time to solve the puzzles. It’s a touching game with a groundbreaking gameplay and that the player can finish in one seating, which is a positive factor giving the immersive experience it expects to provide. You will get to see beautiful scenarios. Q.U.B.E. 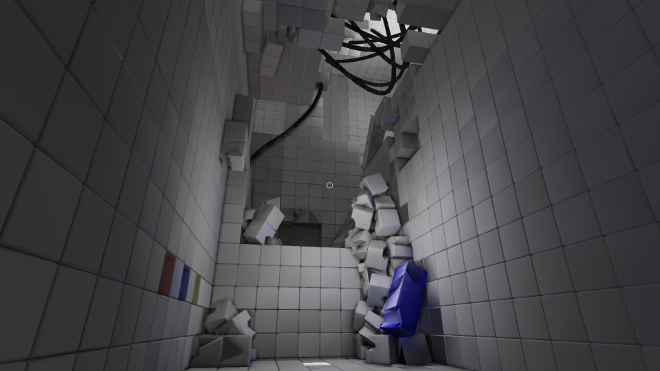 is a first-person puzzle game where you have the ability to manipulate the environment and must use it to escape after you awaken stranded inside a structure made from millions of interlocking cubes with no memory of how you arrived. 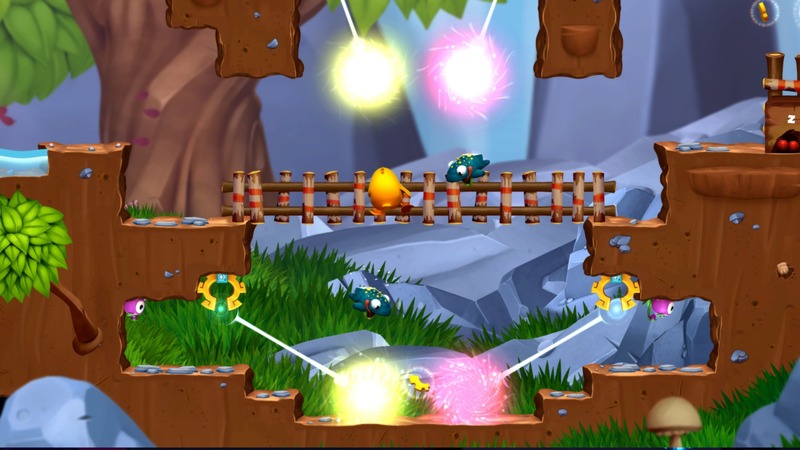 Throughout the game, you will receive new abilities that will allow you to make better use of your surroundings. 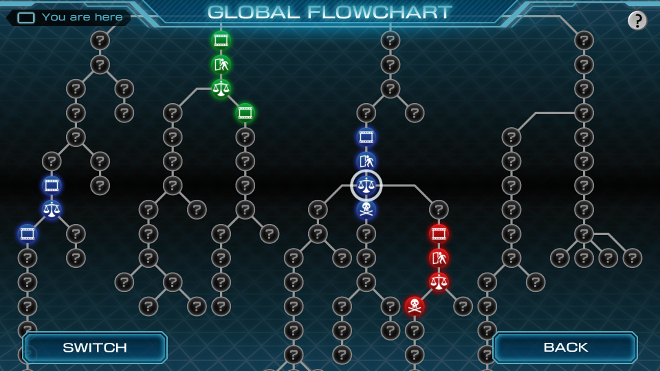 The puzzles are simple in design, though solving them can and does become very complex by the end of the game. 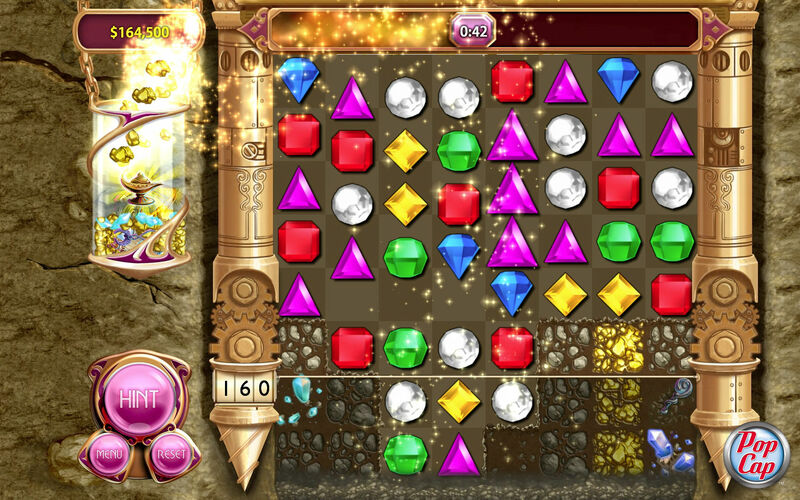 Through the course of the game, you receive abilities that help solving the puzzles. 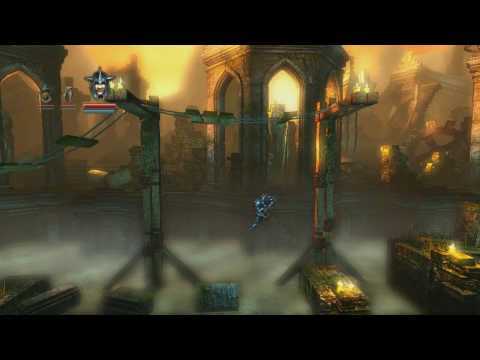 Trine is set in a land destroyed by an undead army and abandoned by its inhabitants. It starts when three characters, by mere coincidence, touch a mysterious magical box called Trine located inside the Astral Academy, an institute of magical studies. The thief Zoya is hoping she can loot the treasure hidden in the academy, the wizard Amadeus wakes up after sleeping under the effect of a backfired potion and the knight Pontius wants to protect the academy. 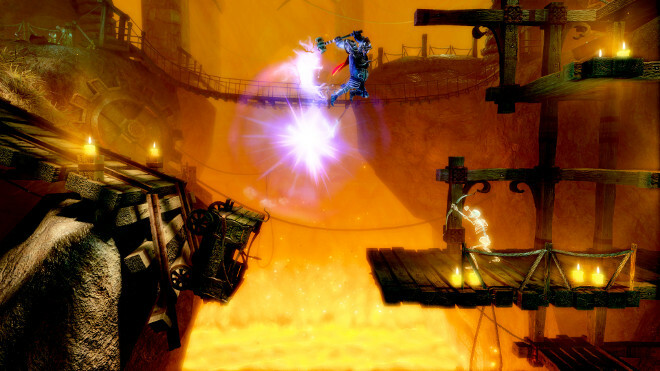 The Trine binds those three different characters together, and they must find a way to free themselves. In Trine, you must choose between controlling one of the three characters and each one provides you with a completely distinct experience. Also, you can play with one or two friends online, each controlling one of the three main characters. You must defeat an undead army. 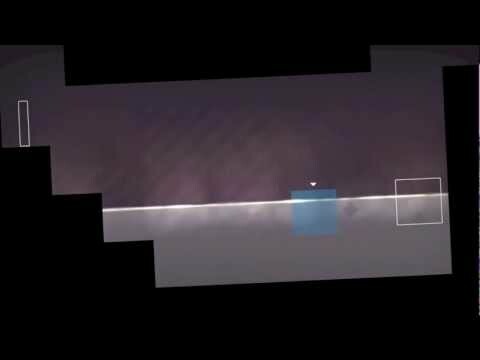 Thomas Was Alone is a minimalist, indie puzzle game that tells a little story about seven deep, charismatic characters represented by geometric shapes, each one having a unique play style with their own fears, desires and personalities. They struggle to escape the unfair system that imprisons them and is constantly changing the rules in its efforts to defeat them. Each character has their set of abilities. 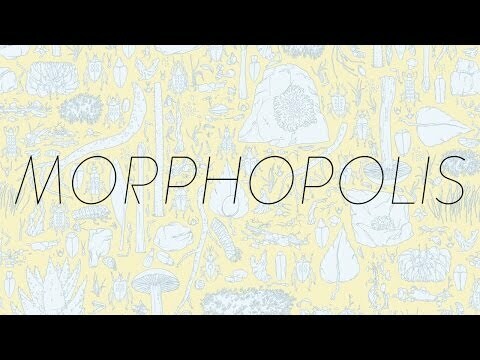 In Morphopolis, the player takes the role of an insect that collects things and help other insects until it finds a bigger insect that must be defeated and absorbed. Each time the main character absorbs another insect, it becomes bigger. 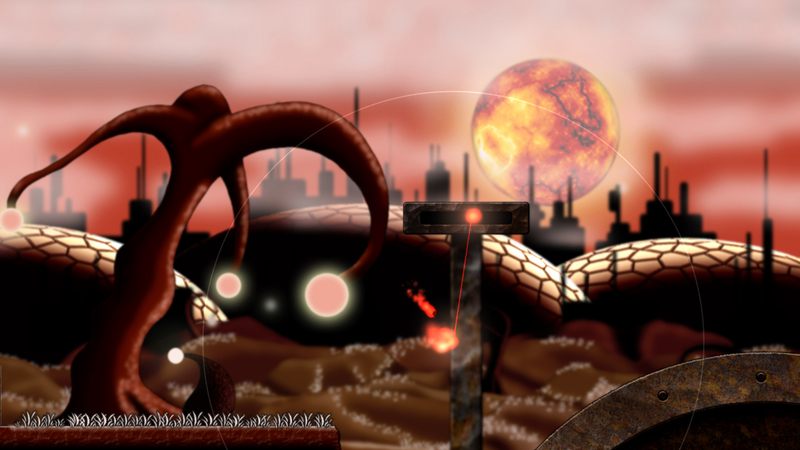 This slow-paced point-n-click game has beautiful and detailed art. 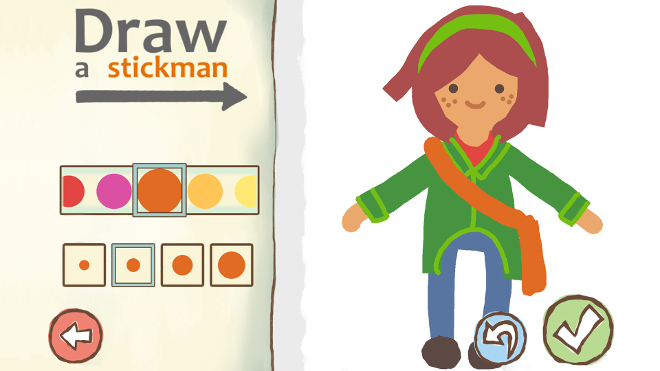 The puzzles are original and fun to play, but they are rather simple. 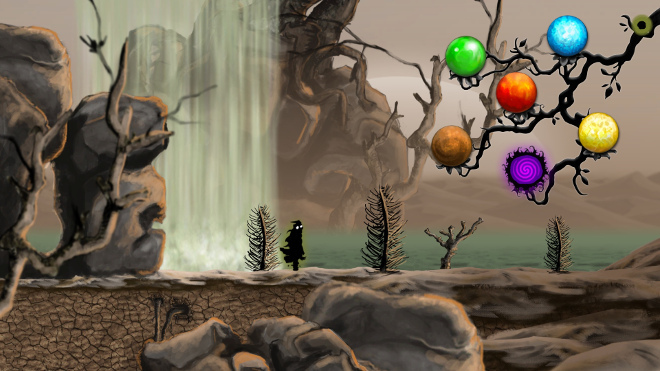 The game consists in scenarios with powerful psychedelic colors. 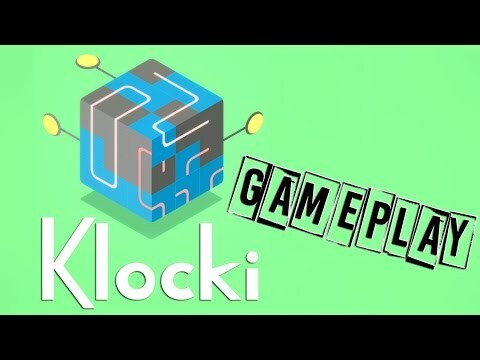 Klocki is a very casual minimalistic puzzler with a calming soundtrack that can provide a relaxing and challenging experience at the same time. There’s no story, just a sequence of different kinds of puzzles. The difficulty level grows as you play. 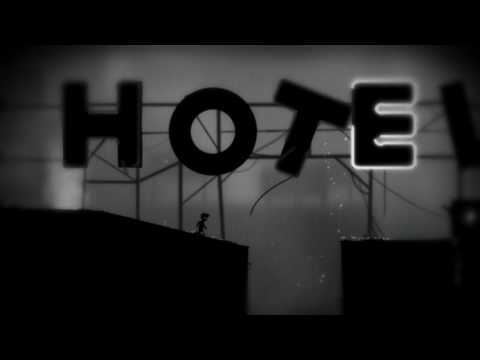 In Limbo, you control a small child who is locked in a strange and mysterious place. 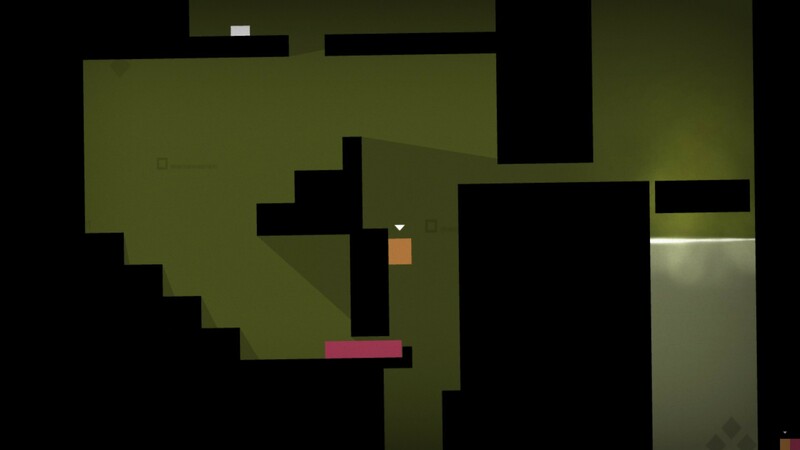 His motivation and objectives are unclear, but you have to walk through that land and solve deadly puzzles to survive. This is a platform kind of game. 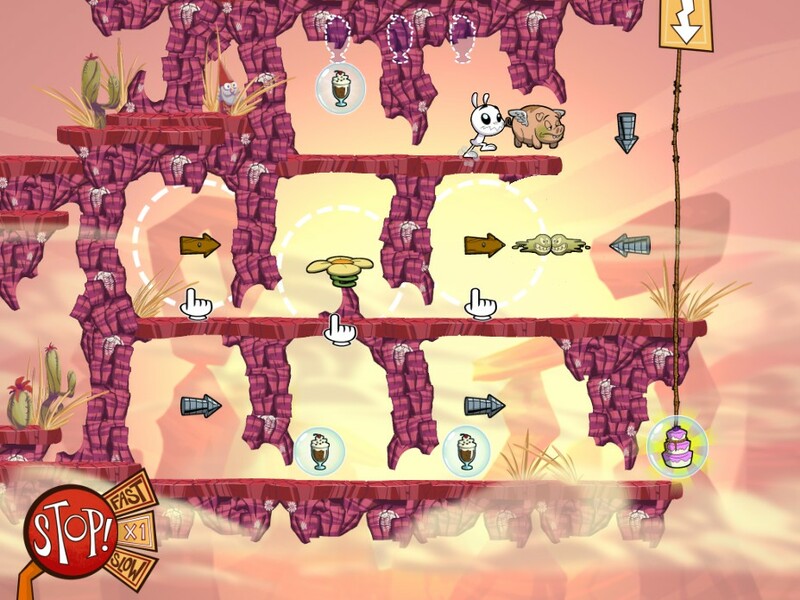 It is deeply immersive, with a basic gameplay and challenging puzzles. This is a very powerful story. This casual point-n-click game tells the story of five small creatures that live in a tree and have to reach the ground to plant a seed and stop an invasion of black spiders. 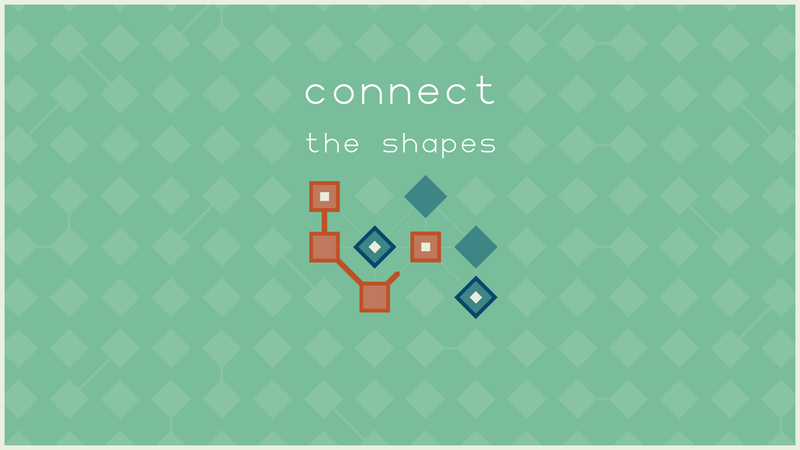 You must interact with other small creatures and solve puzzles. 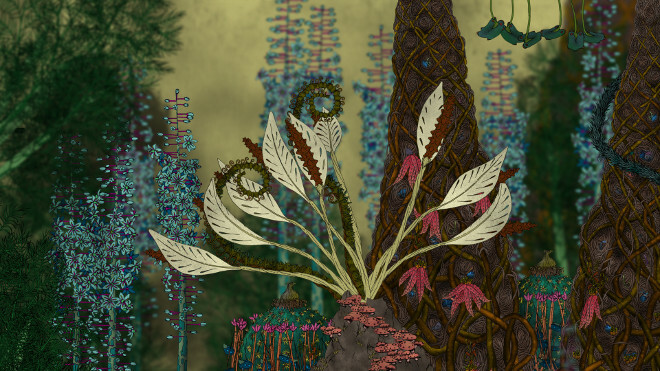 Botanicula presents a very unique environment composed by beautiful art and a fantastic soundtrack, the puzzles have a moderate level of difficulty and the story is simple, but the game will capture the player from the beginning. You will explore a fantastic and complex new world. 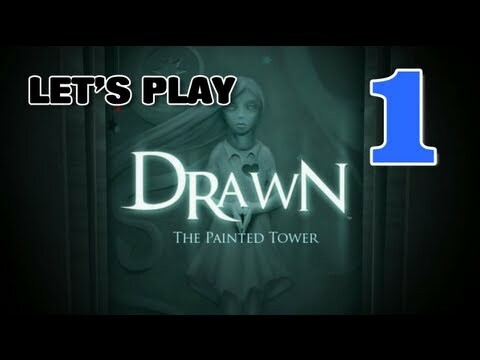 Drawn is a puzzle game full of beautiful artwork that very well fits its premise: entering magical paintings to gather clues and find ways of advancing up the tower to rescue the girl, Iris. 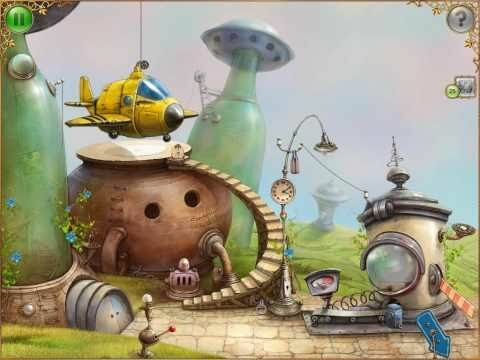 The game is a mixture of hidden object finding, using the right objects from your inventory in the right places, and solving a number of relatively complex puzzles. 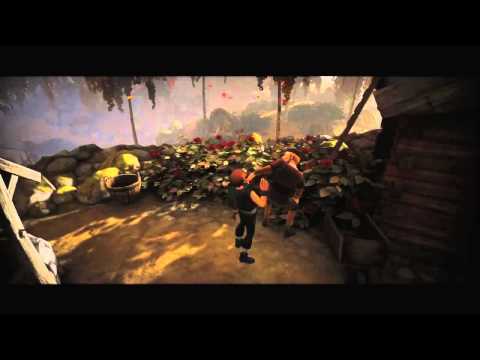 It is a short, linear game and the first of a trilogy of beautiful cinematic games. 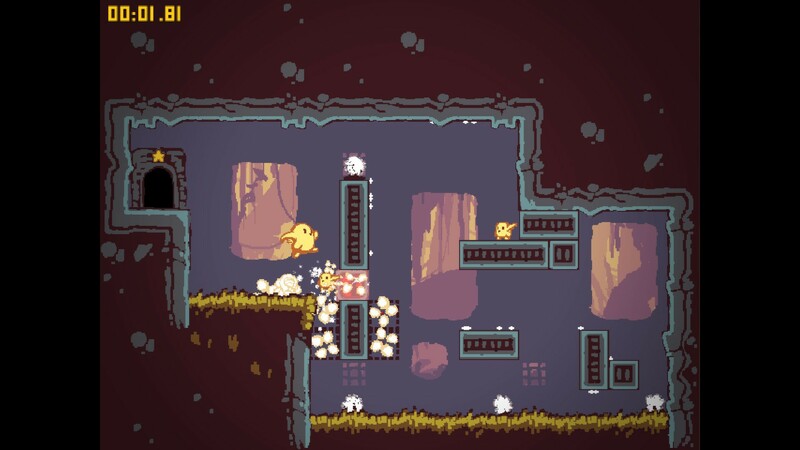 Escape Goat is a short puzzle platformer in which you have to manipulate levers and knobs to open doors. 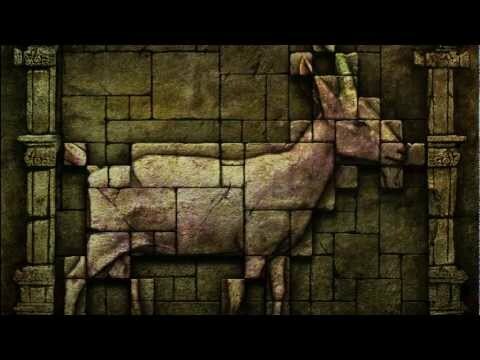 The backstory is fairly simple: you are a goat trying to escape from the Prision of Agnus; but the puzzles are difficult enough to keep the player entertained. Use your natural agility and sturdy horn as you try to dodge traps and obstacles. 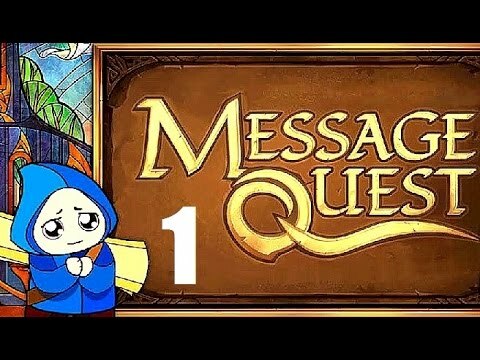 In Message Quest, you become the conscience of the lazy and glutton young herald Feste. Your goal is to force him to fulfill his mission: find a hero to stop the impending destruction of the land. 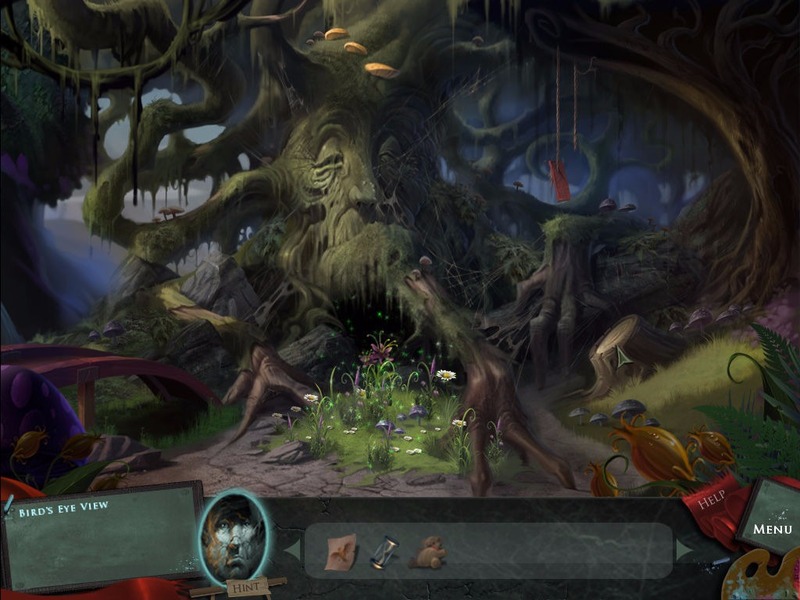 This short game has a simple gameplay and a beautiful ambience; the combination of art, plot and character development gives the player the feeling of being immersed in a fairy tale. 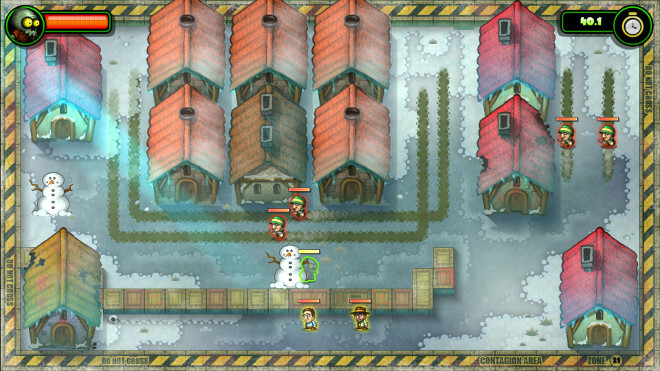 The game consists of a charming gameplay. 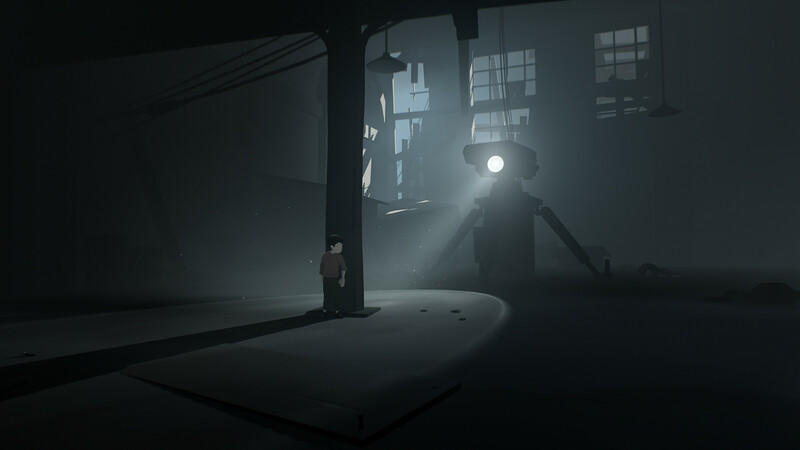 Developed by the same creators of Limbo and with a similar proposal, Inside is an immersive and suspenseful short game in which you control a boy in a dystopic environment and have to walk straight through a mysterious building. Although your character seems to know his objective and his motivation, he doesn’t share them with you. 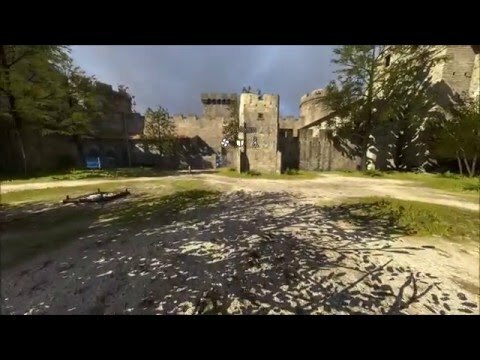 Its art, sound effects and setting are perfectly fitting. 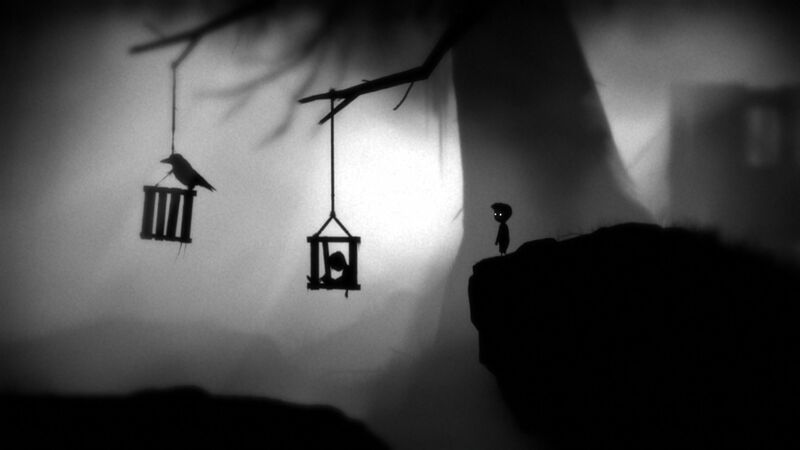 Although the puzzles are simpler than Limbo’s, the game offers a larger variety of tools to be used to complete them. You must be stealthy as you walk through some scenarios. 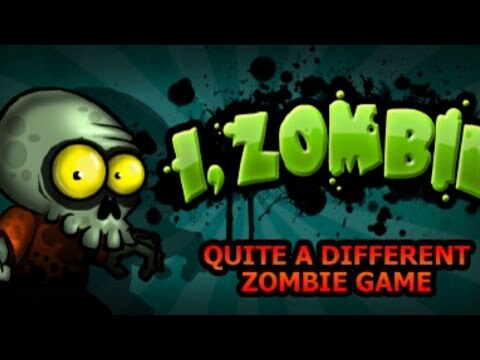 In I, Zombie, you are the leader of a horde of zombies and must infect humans in order to expand your army. Each scenario consists in a different puzzle that has to be carefully studied before you advance. This very inexpensive game is simple and will provide the player with much fun. You must start each stage being sneaky and changing people into zombies to build an army. This is a click-n-point investigative game based on the third novel written by Sir Arthur Conan Doyle featuring Sherlock Holmes. 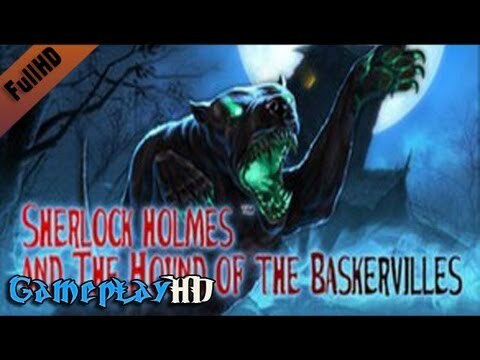 Sir Charles Baskervilles was found dead on the grounds of his state and his friend, Dr. James Mortimer, hire the famous detective to investigate the reasons behind it, which he believes it has to do with an old curse. This is a simple story-based game in which you have to find clues and solve puzzles in several beautiful crafted scenarios. 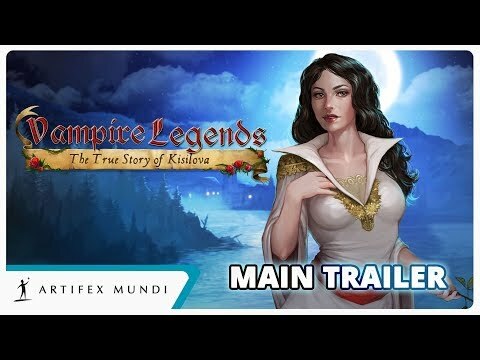 This game features 35 scenarios to be explored. 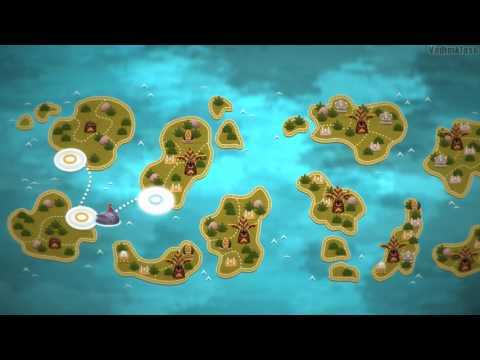 Meet Niko as she travels through several islands and solve riddles and face up dangers to return home. This is minimalistic puzzle game born from Niko’s feelings and dreams; the beautiful soundtrack and art help creating a really immersive atmosphere as you visit the girl’s past. This is an imaginative first-person puzzler. In Eet Munchies, you help a small creature who has just woken up and is hungry, so your goal is to create their way towards the cake, putting objects along the way so the creature can arrive safely. The puzzles fluctuate between easy and complex, the design is simple but beautiful, and there’s also a level creator that increases the game’s replay value. You have to manipulate the scenario to guide the creature towards the cake. 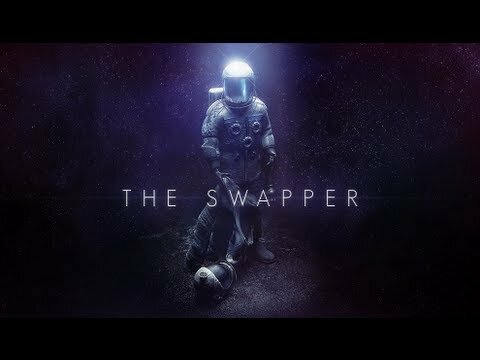 You take control of a lone astronaut in The Swapper as you explore Theseus, a derelict space station. The human inhabitants of Theseus are mostly gone and it's up to you to find out what happened and why. 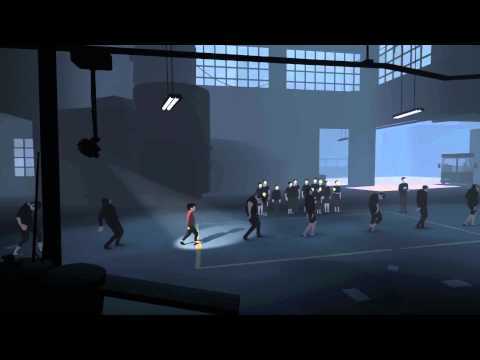 The base of The Swapper's gameplay comes in the form of a gun that allows the main character to clone themself. The clones mimic your every move but the gun also allows you to beam your own conscience into these clones and assume direct control over them. You can clone yourself several times and assume control over your clones. 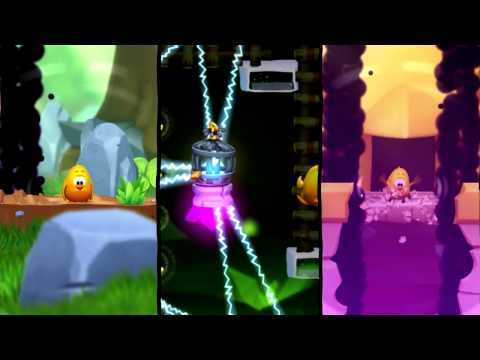 Toki Tori 2+ Turns Up The Volume! 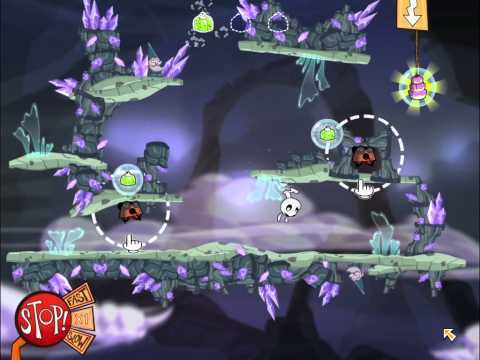 This is a challenging puzzle adventure game in which you help Toki Tori to find five Ancient Frogs and destroy the crystal endangering the forest. In this game, you have to solve ever more complex puzzles; you can also collect golden wings, snap pictures of creatures to complete the Tokidex and whistle songs to activate special abilities. You have to solve ever harder puzzles. In this game, you must save Dr. Victor Frankenstein and his wife, Elizabeth, from the monsters created by the doctor in his attempt to overcome death. 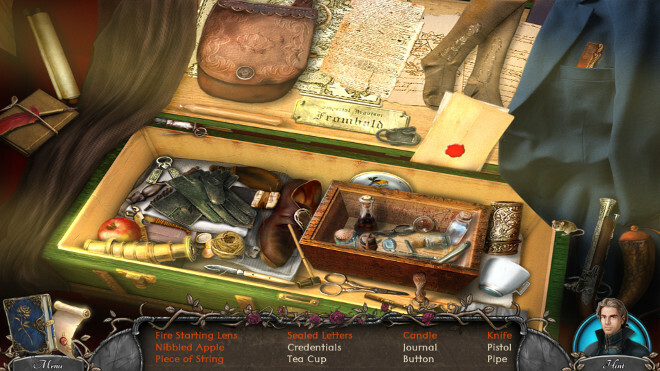 This is a point-n-click game in which you will have to find objects and solve puzzles in several scenarios to restore the natural order of things. Find clues on the scenarios. 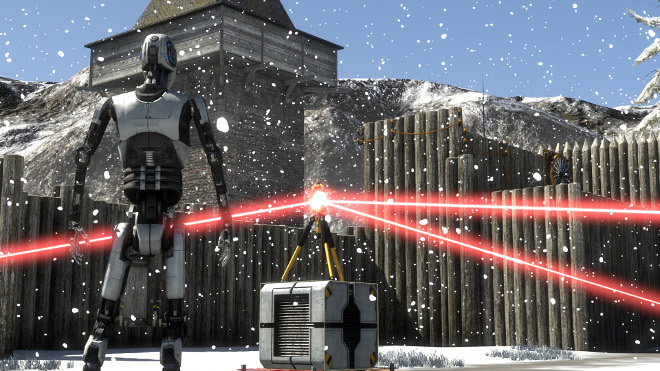 In The Talos Principle, you are guided and observed by the voice of Elohim (Hebraic word that means God) as you solve puzzles. In each stage, you will find Terminals where you can read texts from the past and Milton, something or someone who talks to you and contests everything Elohim is saying. This is a philosophical first-person game that talks about the constant dilemma between following the word of God and the voice that tempts you to break the norms dictated by Him. 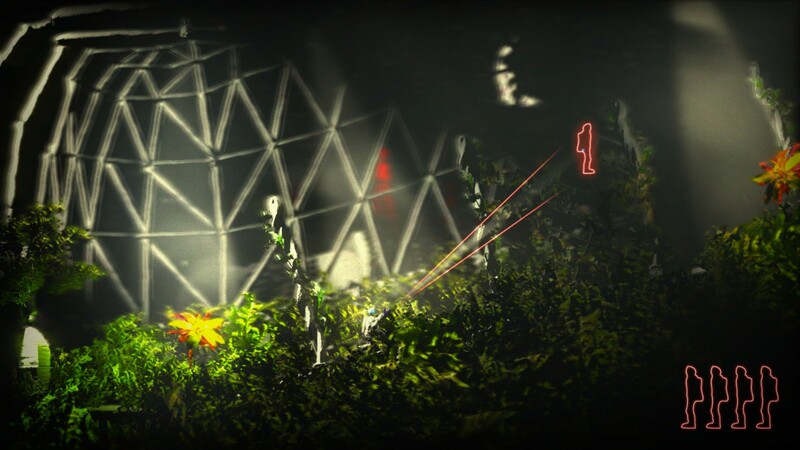 The art and soundtrack of this game create a fantastic and immersive environment as the player advances through ever harder puzzles. This game will make you think about complex philosophic questions. 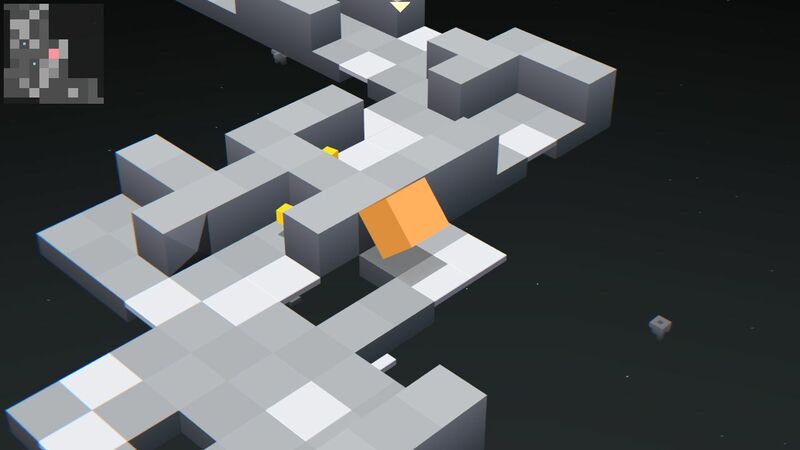 The game has a complex take on puzzle games, but a simple premise: reach the exit door. Your only tool is the ability to control the direction of gravity though you can only do so slowly. In total there are 24 puzzles and 24 mirror versions which add some elements of difficulty in addition to being reversed. 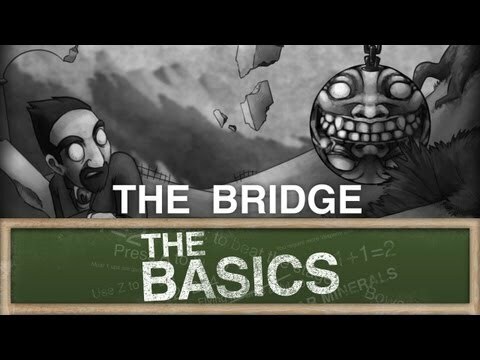 The Bridge a highly intellectual game, the artwork is something to marvel at. Many art enthusiasts will enjoy the game, simply for the hand drawn black-and-white lithograph style. 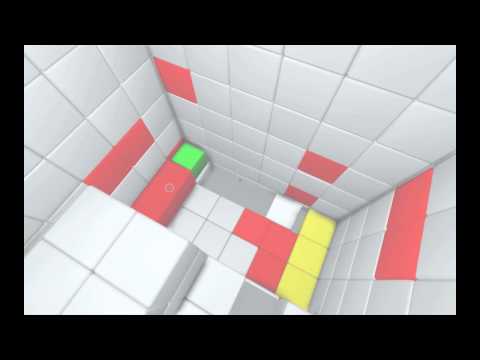 In this cooperative game, one of the players is trapped inside a room with a bomb and the other players must guide the first one in order to deactivate it. 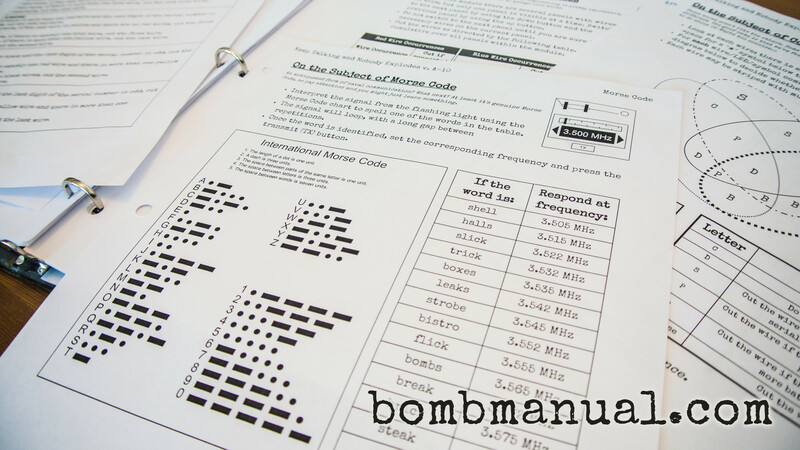 The ones outside the room can’t see the bomb, so they must decipher the information in the bomb’s manual. 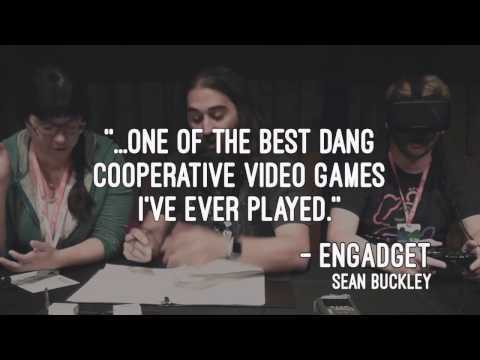 Keep Talking and Nobody Explodes is a fun experience that makes the players cooperate to solve the puzzles in order to stop the bomb from exploding. Each type of bomb has its own set of puzzles in different difficulty levels. One of the players will have to decipher the manual and help without seeing the bomb. 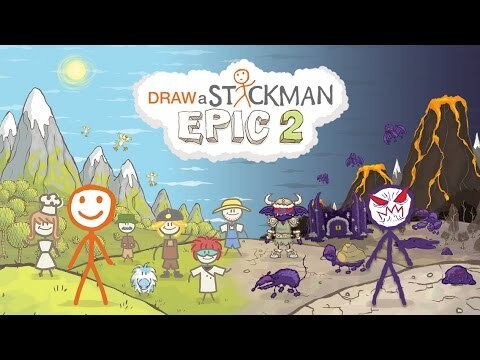 In Draw a Stickman: EPIC 2, you create your own stickman, the main character. At the beginning, they are lonely and ask you to draw them a friend on the same board where they are. The friend ends up running to the edge of the board and falls, hitting the ink pot and dropping the ink over themselves. They run off, scared, and enter a book; now you must follow and get them back. 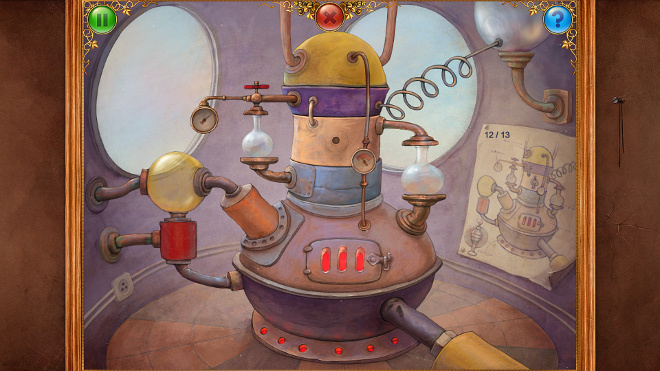 This is a short story in which the player will have to use their imagination to draw the tools required to solve the puzzles. 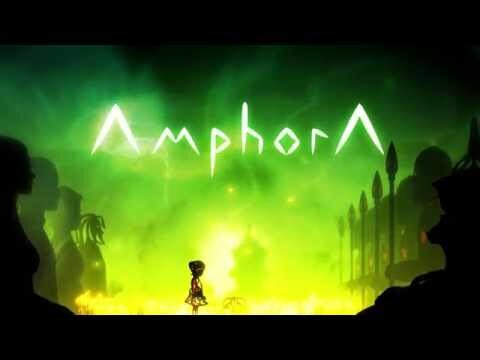 Amphora is a beautiful, short and story-based puzzle game that follows the life of a girl from toddler to a young woman. 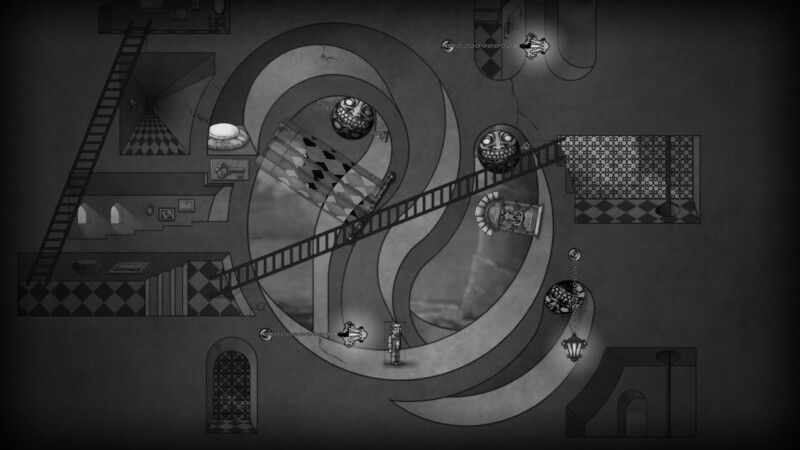 Each stage represents a scene of the girl’s life, and you must solve puzzles to complete the story within it. 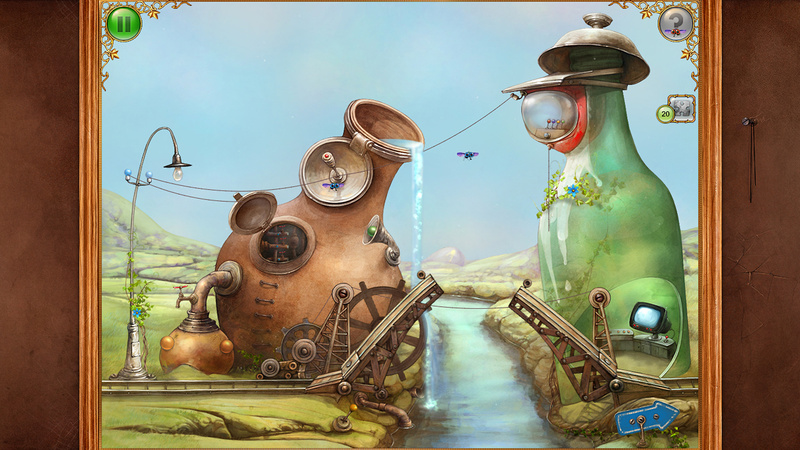 The main factor of this game is its visual that gives the player the impression of being immersed in a bedtime story. 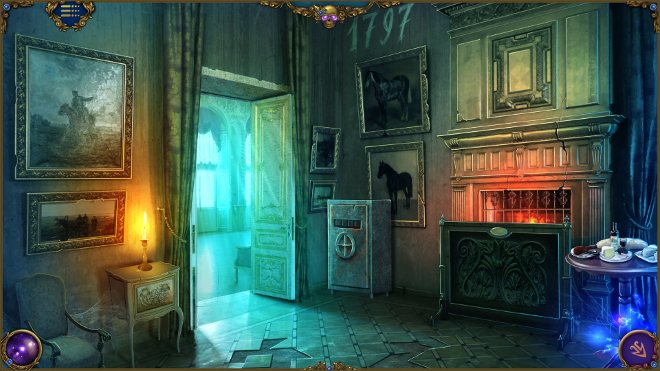 Each scene presents one puzzle you must solve to complete the story. 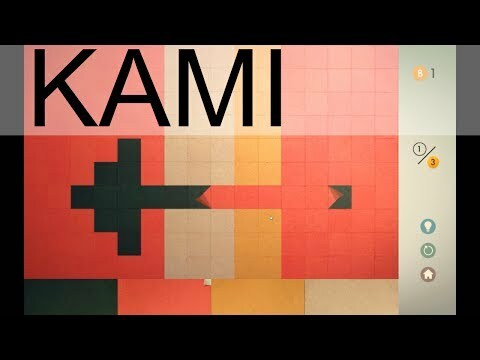 KAMI is a casual puzzle game based on the Japanese tradition of creating beautiful ornaments from paper. In this game, you have to unfold colored paper to fill the page with as few movements as possible. 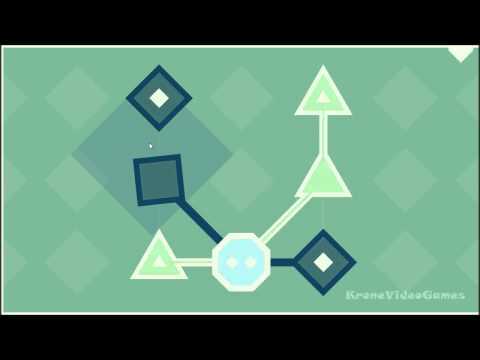 It’s a simple game that has beautiful art and relaxing soundtrack. Kami, or koi paper, is a paper made for origami. Born was created from the Void itself and managed to separate himself from it. While he travels through the world learning how to use the colors around him to transform it, he must escape from the Void, who is trying to reclaim him. 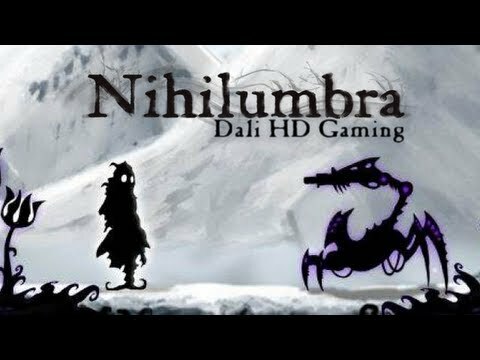 Nihilumbra has beautiful scenarios and an amazing soundtrack that will make you immerge in this fantastic world. Follow Born to uncover the beautiful world of Nihilumbra. 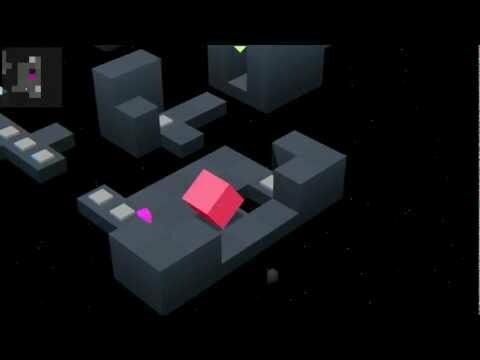 In EDGE, you move a cube through a 3D minimalistic scenario. 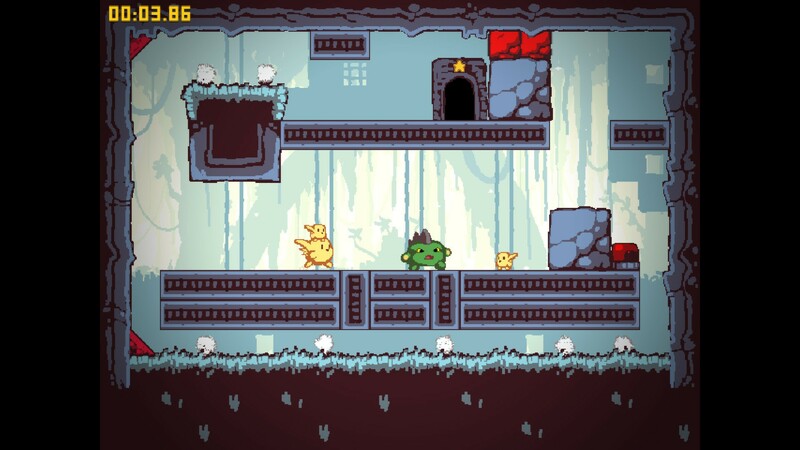 It’s highly based on games from the 8-bit era and features puzzles that stand between very simple and really complex. EDGE has over 100 levels and 40 achievements. This game tells the adventures of Ittle Dew and her sidekick Tippsie after they crash into a strange island. 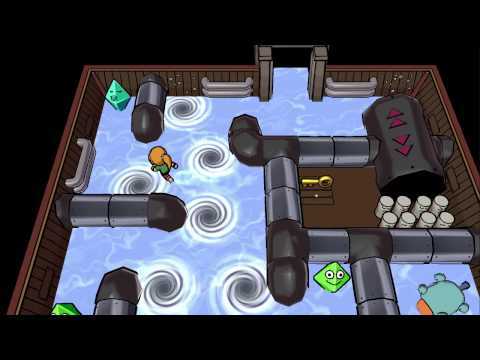 This game has a design that may remind many players of The Legend of Zelda, but its light humor, charming characters and challenging puzzles create a unique experience. 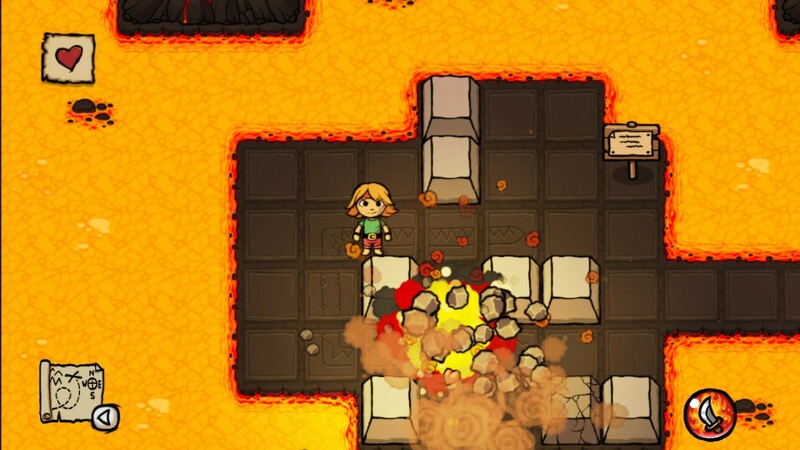 You can use fire, ice and teleport to complete the puzzles. The Tiny Bang Story. April 2011. The Tiny Bang Story is a beautiful and colorful game that tells the story of the consequences of a disaster in which Tiny Planet was hit by a meteor. 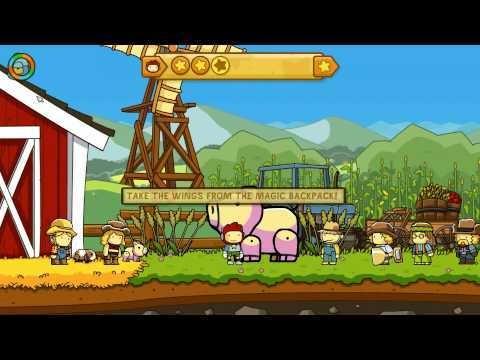 You must operate machines and solve puzzles spread through five different chapters to restore the planet. 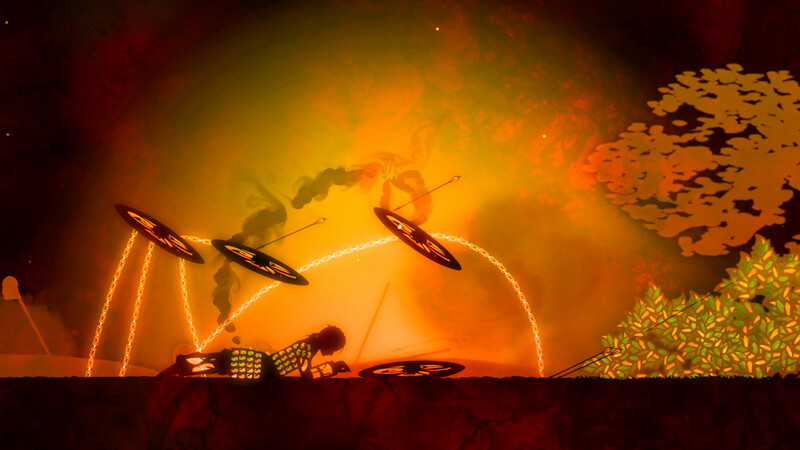 This game offers a colorful cartoonish art. The game starts when the main character, Maxwell and his sister, Lily, meet a starving old man. As a prank, Maxwell uses his magical notebook that creates whatever objects it has written on it to make a rotten apple. In response, the man curses Lily to slowly turn into stone and, to free her from the curse, the boy has to collect Starites, blue stars that appear every time he helps people. 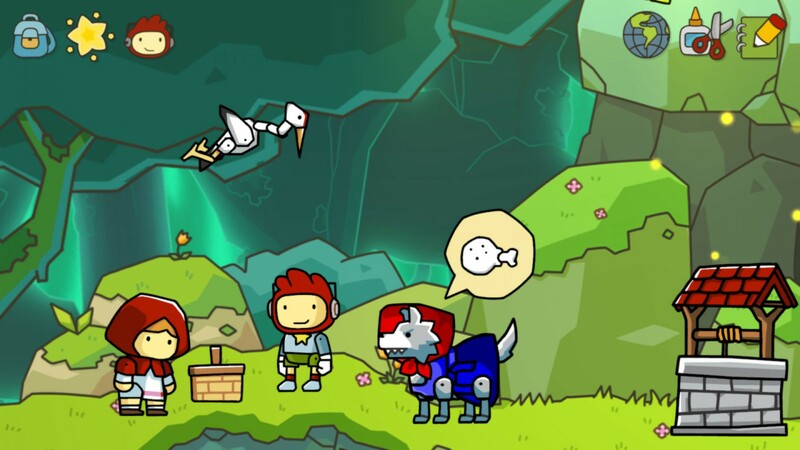 Scribblenauts Unlimited, the fourth game of the franchise, offers the player an immense variety of ways to finish puzzles that grow ever more difficult; it’s a game that demands more creativity than dexterity and reflexes from the player. Creativity is more important than dexterity and reflexes. 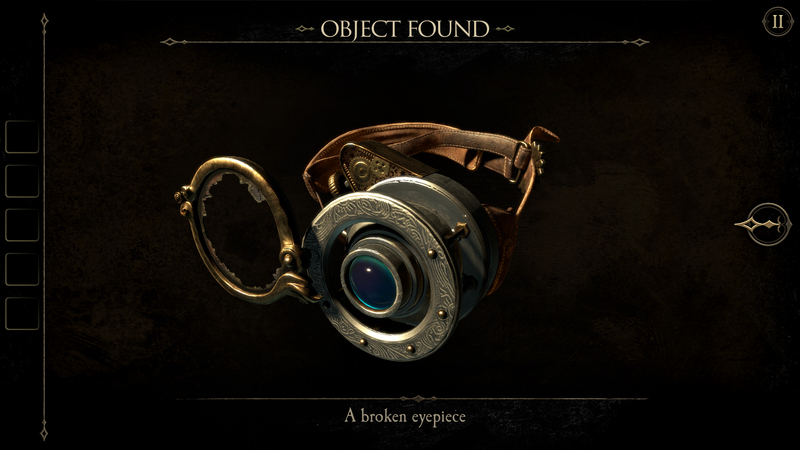 In this game, you follow clues that will help the main character to find pieces of Null that reveal a door every time they are seen through a special eyepiece. You must solve several puzzles to quickly navigate through the rooms aiming to escape from the place you were imprisoned in. 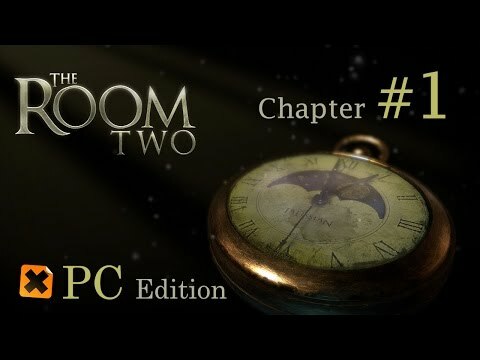 In The Room Two, sequel to the award-winning game The Room, the player immerges in a suspenseful and full-of-mysteries environment, solving puzzles that grow ever more difficult. 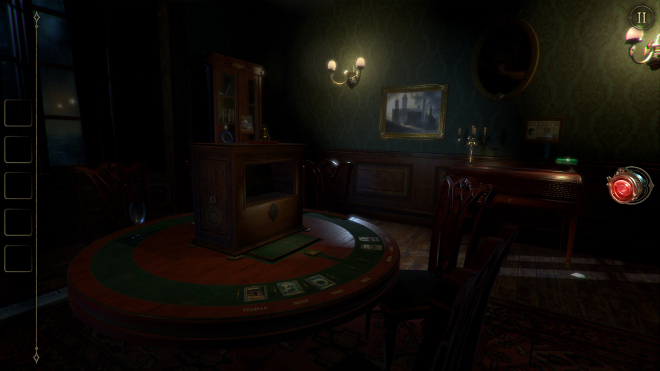 You must find clues inside the many different rooms. 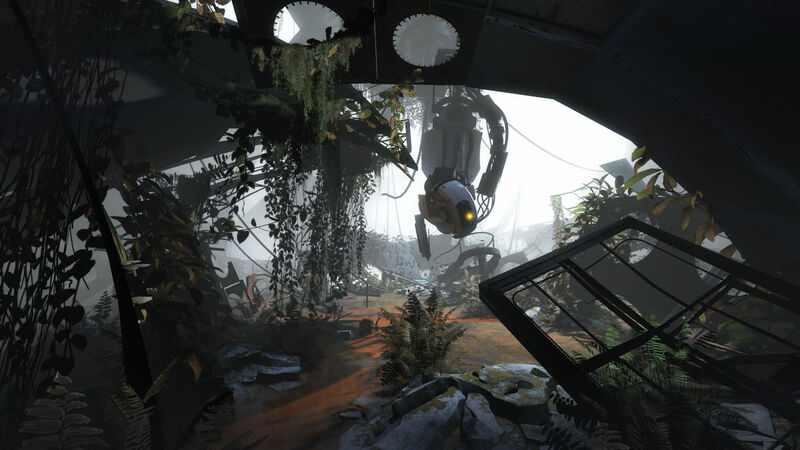 Portal 2 takes place a long time after the events of Portal and the Half-Life series. 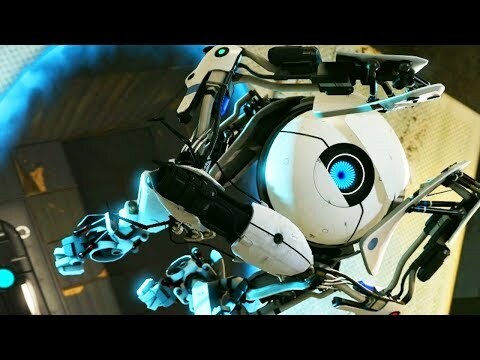 After waking up, Chell discovers that the Aperture Science complex is on the verge of destruction and is guided by Wheatley, a personality core, in an attempt to escape. On their way out, they end up waking up the artificial intelligence that governs the complex, GLaDOS, that separates Chell and Wheatley and rebuilds the place. 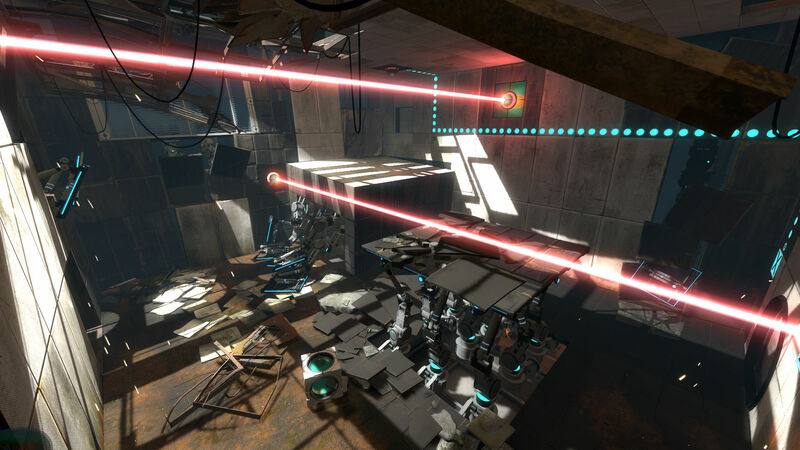 The sequel of the classic game Portal has two different modes of playing: the single and the full-coop, in which you and a friend control the robots Atlas and P-body. Each mode offers a complete different experience. 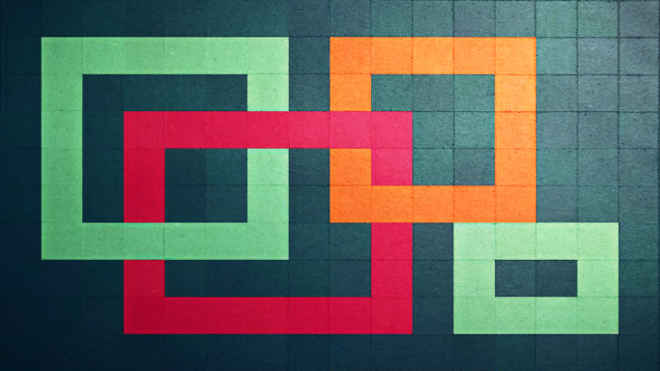 The puzzles of this game are complex and require taking time to think about them. Portal 2 takes place a long time after the events of Portal. 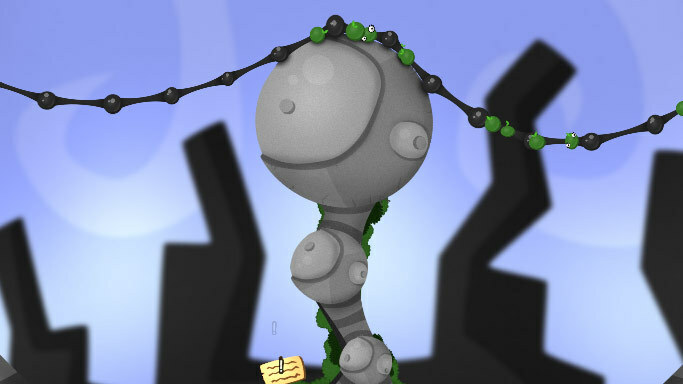 In Offspring Fling, you are an adult creature trying to collect her children and take them back home. 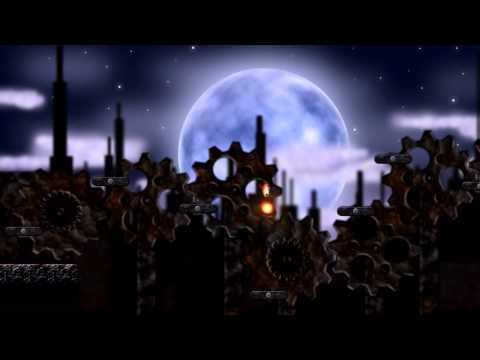 This puzzle platformer composed by 100 different levels presents two different facets: a very casual game with fun and short levels in moderate difficulty and, hidden underneath this, a technical speedrun game. Collect your children and bring them back home. 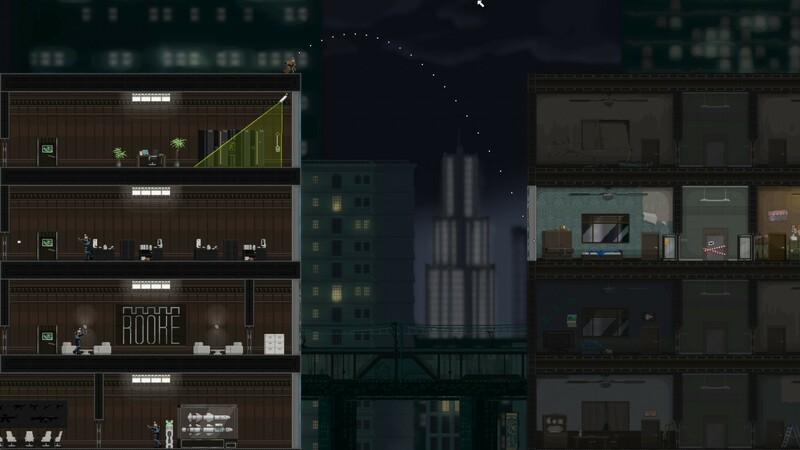 In this action-adventure puzzler, you are a freelance spy who has to be stealthy to break into buildings and steal sensitive data. The game can be played in several different ways, depending on the way you want to play: you can kill absolutely everyone you find or choose a non-violent sort of campaign. It requires a high level of strategy and stealth. Try getting inside high security buildings. 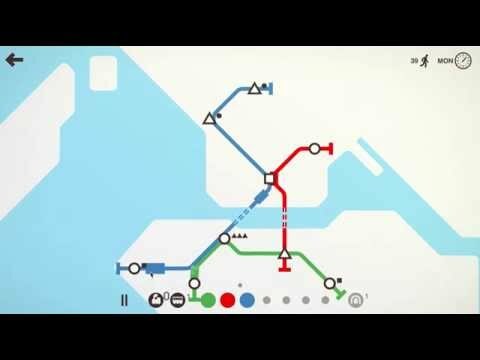 In Mini Metro, you must design a map for the subway of a growing city. The city starts with just three stations, but, as the city expands, new stations are opened and you must find a way to connect them. The goal is to keep the subway running for as long as you can. 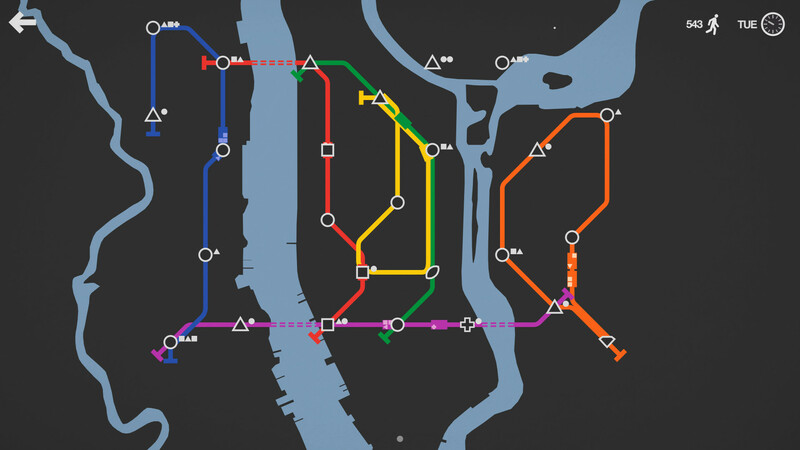 Unlock cities so you can build their subway system. 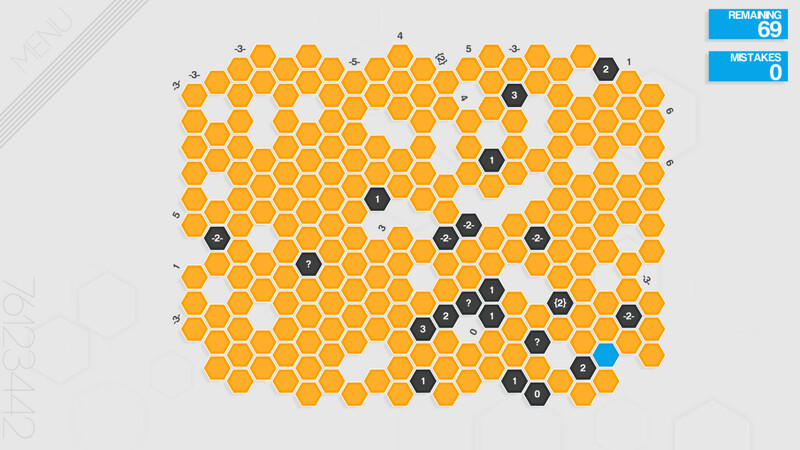 Guided by the number clues, you have to poke the hexagonal cells in order to complete the pattern underneath. 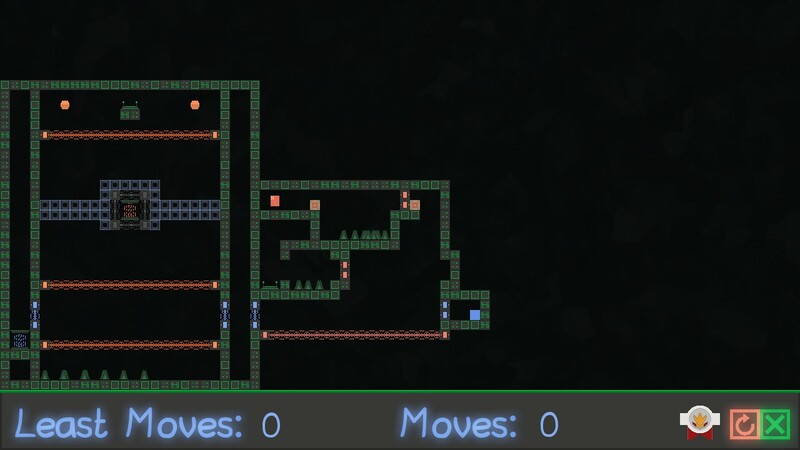 This logical and minimalistic game contains 36 hand-crafted puzzles and a level generator. This casual game can be fully solved by the use of logic. 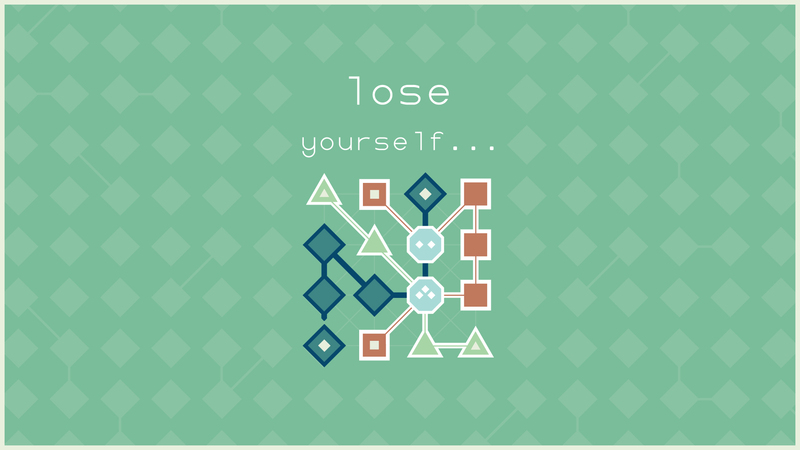 Lyne is a very simple and casual game that contains hundreds of puzzles and randomly generates new puzzles every time you log. If you log every day, the puzzles will keep getting harder until the difficulty level is reset by the end of the week. 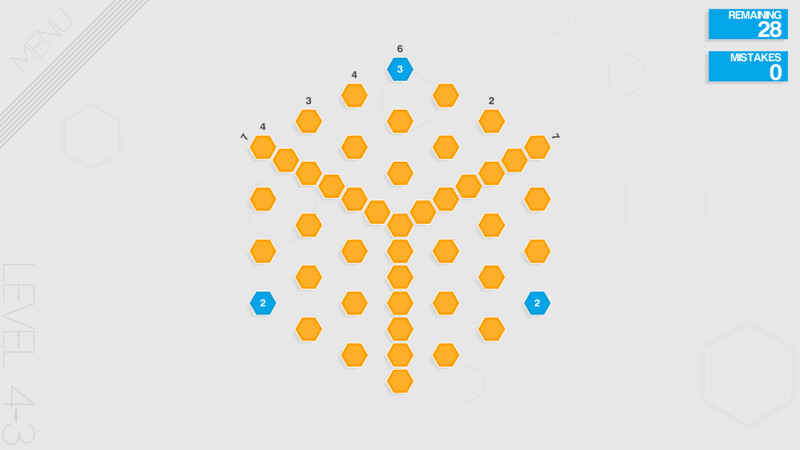 Connect all the similar shapes until you fill the board. In World of Goo, pipes start appearing on the land and wake up many Goo Balls who, driven by curiosity, build structures toward them. When they reach the pipe entrance, they are sucked by the pipe system into the building of the World of Goo Corporation, where they are treated into several different products. This is a heavy puzzle based game in which the player has the seemingly simple task of building ever larger structures using balls of goo. Tough it looks like an easy game, the immense variety of terrains combined by the limited number of balls of goo that can be used makes it grow progressively more complex as you pass the stages. 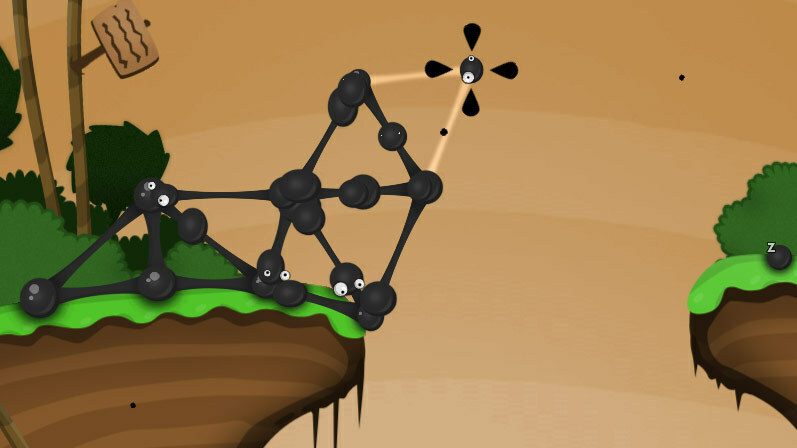 Build structures and wake up sleeping Goo Balls. Don’t panic. I live under the strict Zeroth Law of Robotics; my quiet soul, amidst the blustering universe, is devoted to hear and tell stories. Please, don’t forget to keep a towel in hand. Welcome!